The trail uses old fishing roads and a new trail along the shore built by Ranger Ray Cutcher and an Americorps team. It is a great addition to the trail system. Directions: Fall Creek Falls is located on hwy 284 between highways 111 and 30. 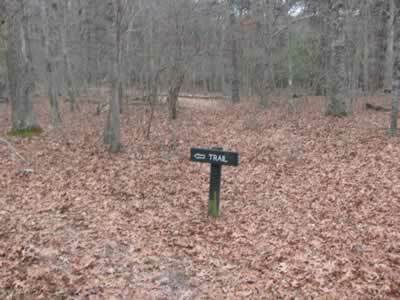 Once in the Park, follow the signs to the Inn. The road crosses the Lake at the dam and curves along to the first junction - the road to Fall Creek Falls. Stay left. At the second junction - to Group Camp ll, go right on the paved road. 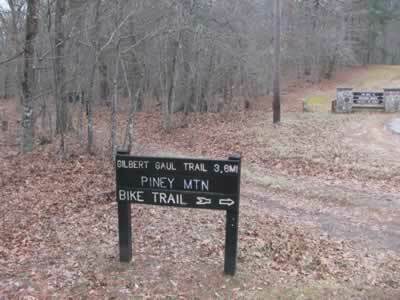 The parking for the Gilbert Gaul Trailhead is a quarter of a mile on the right. A few feet after leaving the trailhead the roads fork. There is no advantage for going right or left. The directions will be going to the right, counter clockwise. Going right the trail follows an old fishing road toward the head of the lake. The trail is relatively flat. At one mile the road forks. Go left (or straight) and soon the trail enters a large opening. The old Gilbert Gaul Homestead site is down and to the right. Continue through the field and back into the woods. The head of the lake is .35 miles from the last fork. 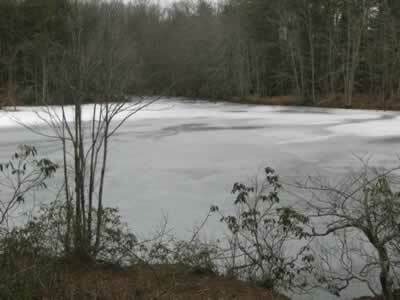 The head of the Lake is a nice often secluded area. Fall Creek enters the Lake from the right. 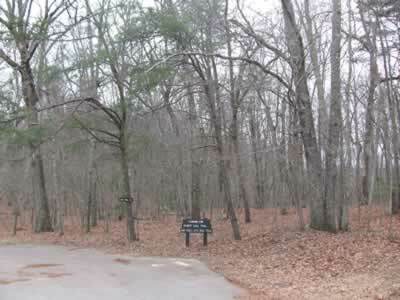 The trail leaves the area to the left. Following the shore the trail weaves in and out going from point to cove and back again. Drainages are crossed in each cove. 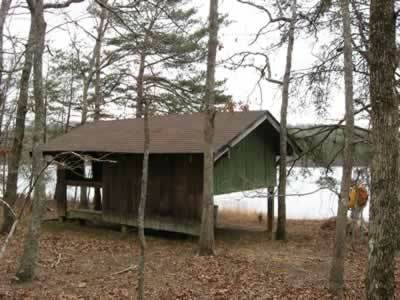 At 1.05 miles from the head of the lake, is the Frazier Rain Shelter. 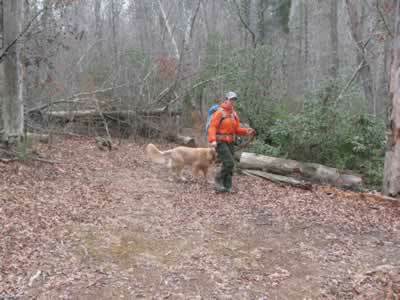 The lean-to was built as a shelter for the boaters and fishermen; but the hikers also, take advantage of the structure. From the shelter, continue around the lake. 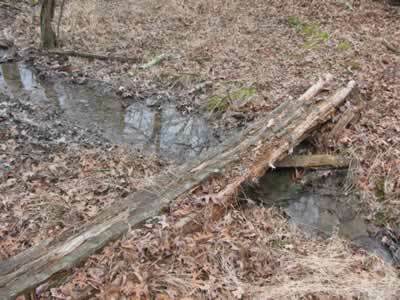 After .45 miles is a beaver lodge built almost next to the trail. What a treat! 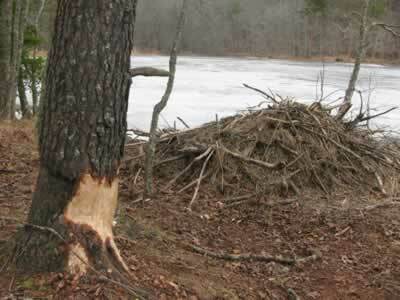 Watch, but do not disturb the beavers. 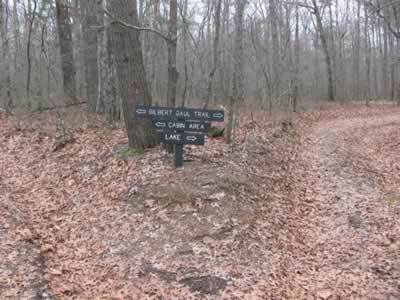 The trail passes a couple of fishing roads on the left along the way. Just continue straight along the shore. At .90 miles cross a drainage and come to a junction. The cabins on the Lake are straight ahead. To return to the trailhead, turn left. 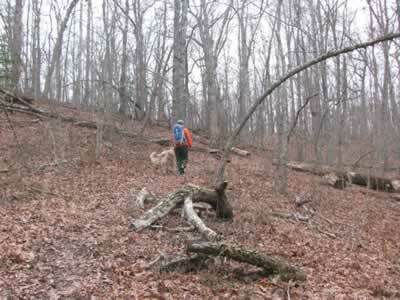 The trail re-crosses the drainage and then climbs a hill with a couple of switchbacks. It is a .15 mile climb to junction with another old road. Go right. After .20 miles the road junctions another road on the left. Stay straight. 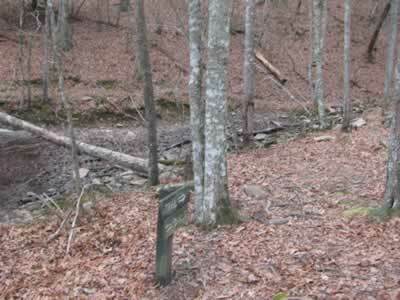 Another .30 miles of walking on the easy road and the trail returns to the trailhead. The total length is 4.4 miles.